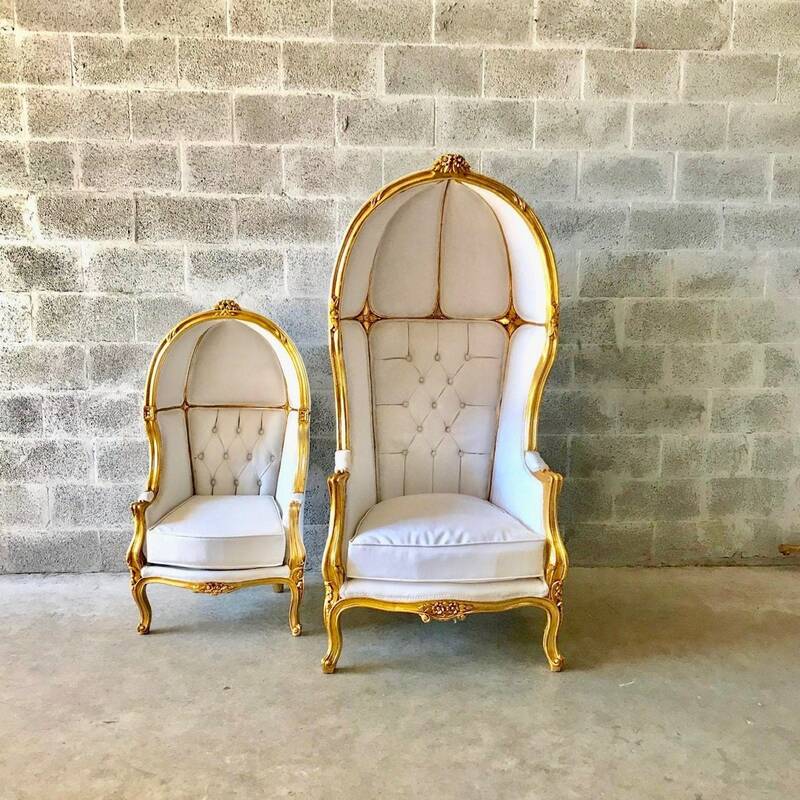 From my new line of HIGH END QUALITY reproduction chairs, i bring this beautiful unique Children size Balloon Arm Chair refinished in Gold Leaf and reupholstered in white tufted leather. 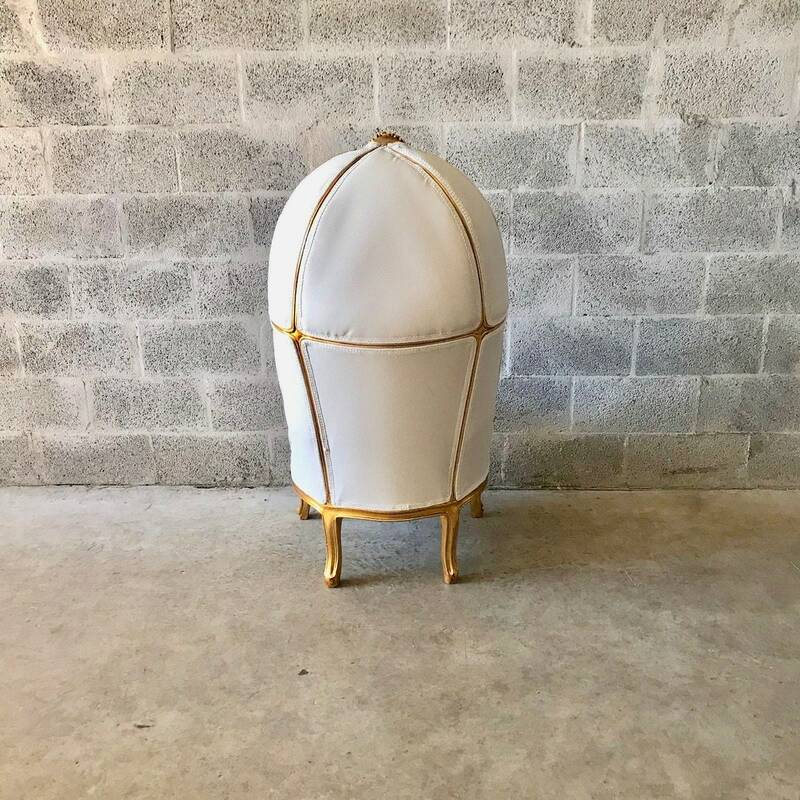 This is a luxurious chair wrapped in white fabric. 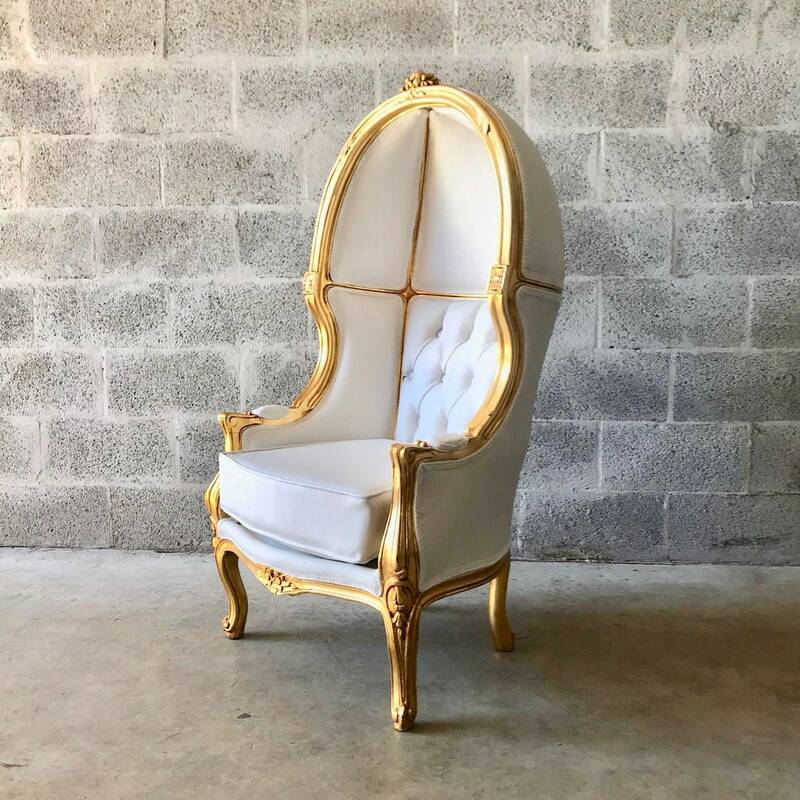 The chair was made in France and upholstery in Italy. 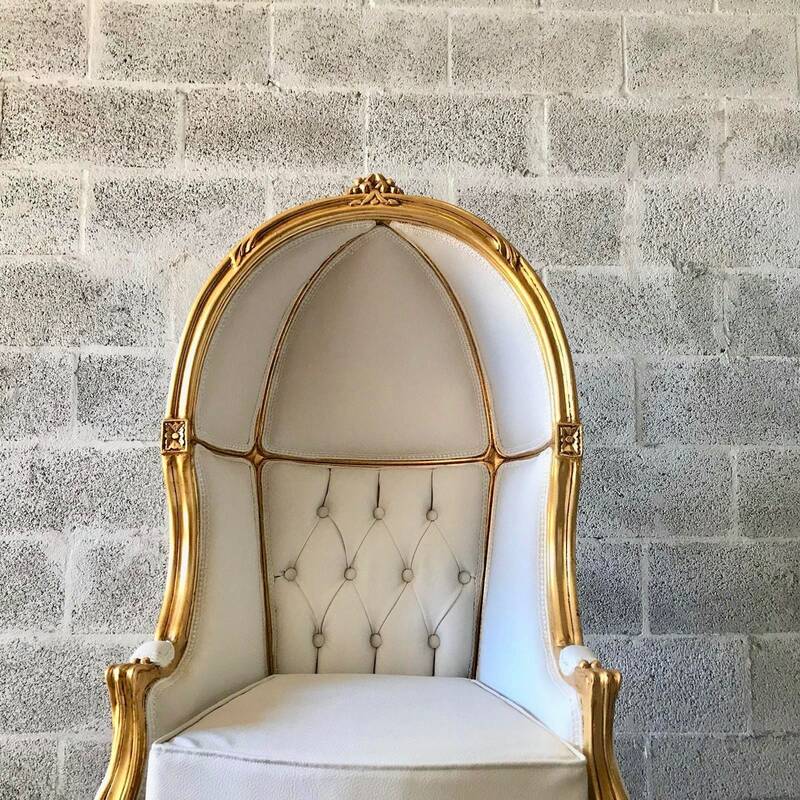 Entire chair was hand-carved and frame is decorated with floral motifs to accent the front and back of this very comfortable, sumptuously padded chair with a detachable pillow. 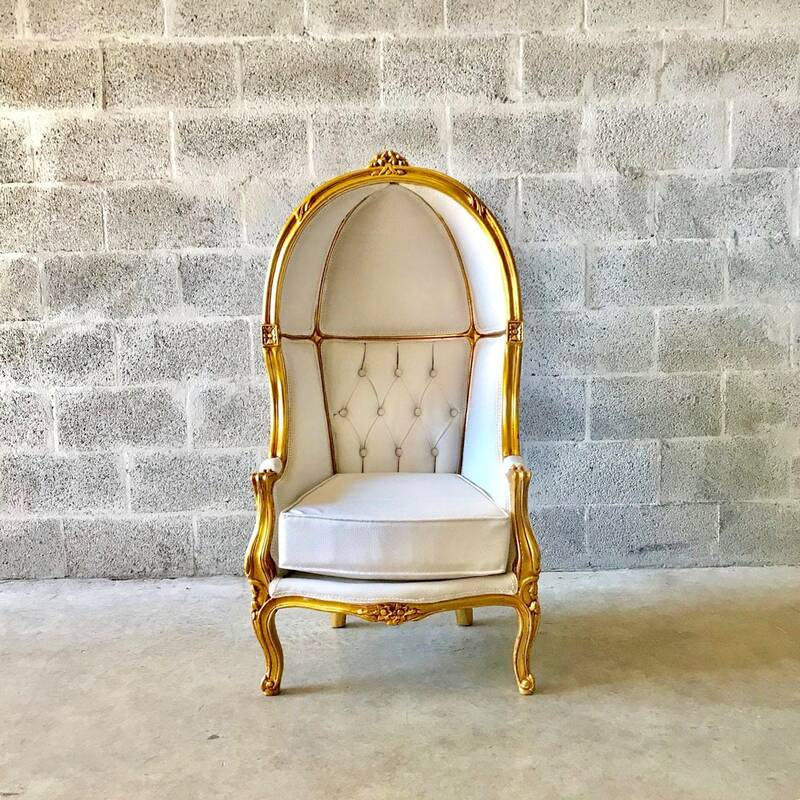 With unparalleled quality, this will be an unforgettable stylish statement piece. 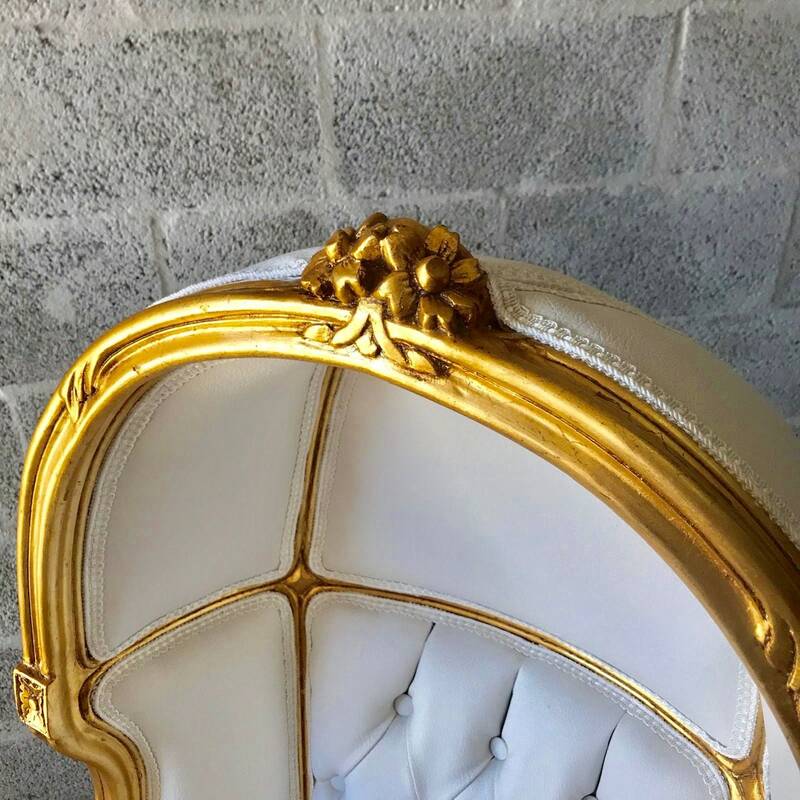 Frame was also hand finished.